As the deadline to leave the EU looms ever-closer, there is still little clarity for UK industries and businesses as to what the future holds. With the government in disarray and the clock ticking, the UK is running the risk of withdrawing from the EU without a deal in place. This is a very alarming prospect for the nation as a whole and is particularly daunting for the construction industry, which relies heavily on EU workers and on importing essential building materials from the EU. Foreign employees make up 15% of the UK construction industry’s workforce, out of which 51% are from an EU country. EU nationals are already leaving the UK in droves to seek work elsewhere in Europe and, depending on the outcome of Brexit and its implications on free movement, the sector could be set to lose 8% of its total workforce, which would obviously be a damaging blow. The government has attempted to appease employers who are dependent on EU workers in the December release of the Immigration White Paper. The 12-month temporary scheme allows EU nationals to come to the UK to work for a year. While this may be viable for sectors that require temporary or seasonal staff, the offering is unsuitable for the construction industry. The proposed scheme does not allow employers to retain and develop valuable members of staff and could mean that they would be obliged to re-recruit in the middle of long-term infrastructure and building projects, causing disruption and inconvenience. In the wake of a no-deal Brexit and the end of free movement, an option for EU construction workers who still want to gain employment in the UK after Brexit would be to fill in a Tier 2 Visa application. For employers, this means they need to pay and apply for a Sponsor Licence, which can be a costly and lengthy process. However, the current eligibility criteria for a Tier 2 Work Visa would make it very difficult for the large majority of construction workers to obtain. As it stands, the minimum salary requirement for this type of visa is £30,000 and, unlike many occupations that feature on the UK’s Shortage Occupation List, construction workers do not benefit from any visa discounts when applying. The replacement of free movement for the construction industry is prohibitively expensive: not only must migrants pay for their visa application and meet the requirements, they must also pay and pass an English language test and provide evidence that they have adequate savings to accommodate themselves. It isn’t just staff from the EU that the UK construction industry depends upon. A no-deal Brexit would also be incredibly damaging to trade and would cause numerous problems when it comes to importing and exporting goods. According to the Department for Business, Energy & Industrial Strategy (BEIS), 62% of the building materials currently being imported into the UK originate from Europe, and 60 % of the materials being exported are also going to EU countries. The BEIS reports that in 2016, with the exception of China and the USA, four out of the top five import and export markets for building materials in the UK were European countries. If the UK leaves the EU with no tangible trade deal, the resulting imposition of World Trade Organisation tariffs and new non-tariff barriers would make goods more expensive and difficult to obtain. There is also the risk of crucial building materials being in short supply, such as timber, 92% of which is currently imported from the EU, according to statistics published by the Construction Products Association. The introduction of new regulations on quotas and the origin of goods, for example, would lead to more complex and drawn-out administrative processes and would cause severe transportation delays at border control. As well as the financial implications of more expensive materials, this would have a hugely detrimental effect on construction companies who are reliant on receiving goods quickly in order to meet project deadlines and it could result in loss of business and credibility if they are unable to complete the work. It is evident that if the UK walks away from the EU at the end of March without a deal in place, it would have an enormously negative impact on the construction industry and the wider economy. With so little time left and still no clarity on where the construction sector will stand with regards to both labour and trade post-Brexit, it is difficult for industry leaders and employers to determine the best course of action to minimise disruption and avoid lasting damage. 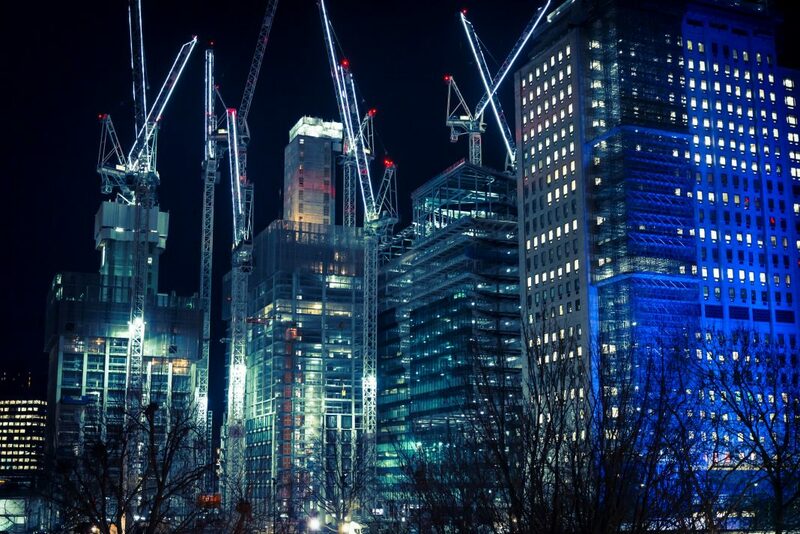 Until a final decision is made by the UK government and its EU counterparts on Brexit, the future of the construction industry will remain uncertain. This article has been written by Joanne Starkie who is a specialist content writer and correspondent for the UK’s leading Immigration Advice Service.